This is one of my favorite desserts to make! It was inspired by this recipe, and it’s super easy and uses ingredients that are usually always on hand at my house. 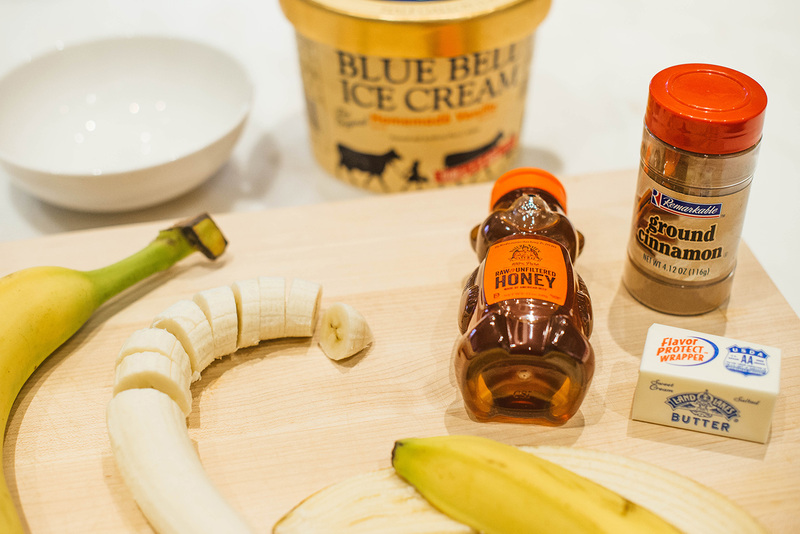 The base of the dessert (the bananas) is pretty healthy and the ice cream is optional. It’s a great go-to for getting that quick sweet fix after dinner without totally bombing your diet with cookies, cupcakes or some other highly processed and carb-loaded item. 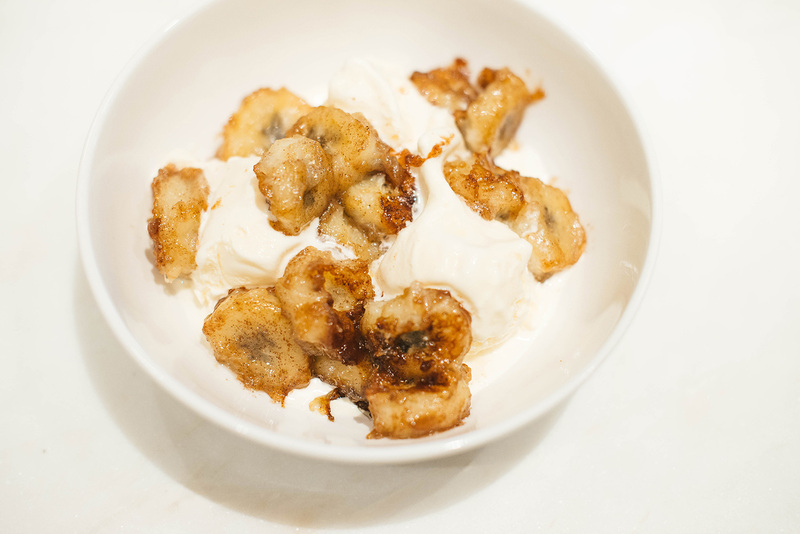 This recipe makes two servings – perfect for date night at home! I hope you enjoy it as much as I do! Check out more of my recipes here! Peel banana and slice into 1/2 inch-thick pieces. 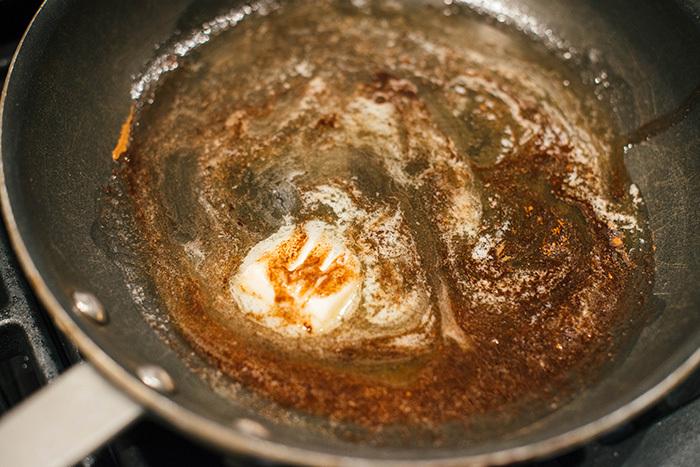 Place honey, butter, cinnamon and salt in a non-stick skillet over medium heat. 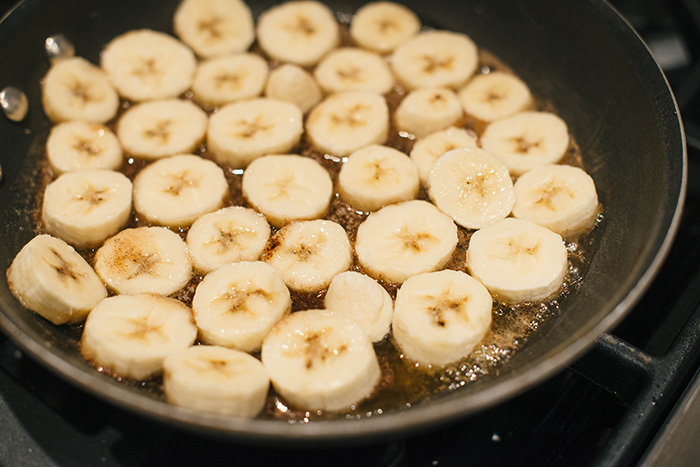 Once butter is melted and mixture heats up, place banana slices in the pan. Cook for 4-5 minutes or until the bottom is caramelized, and then flip the slices over to cook the other side for 4-5 minutes. Once both sides are perfectly caramelized, remove from heat. 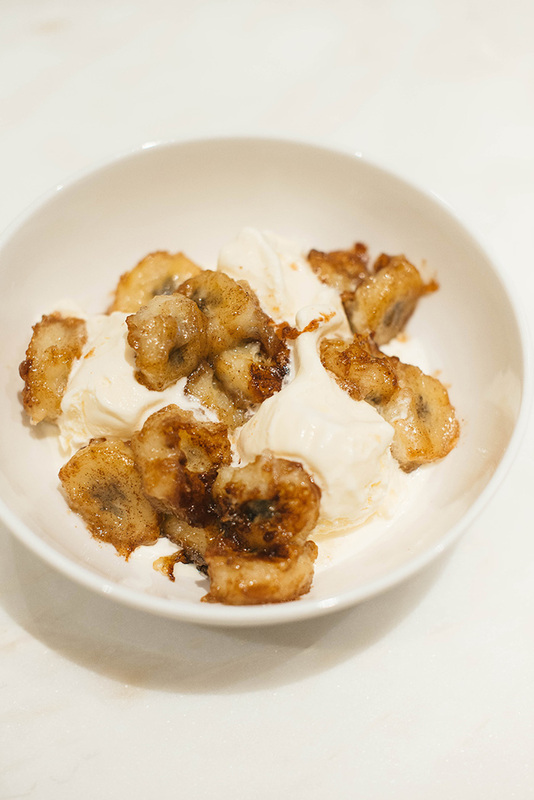 At this point, if you are using ice cream, place a few scoops of ice cream into two bowls, and then top the ice cream evenly with the pan-fried bananas. If you are not using ice cream, just serve on a plate! Voila! Omg that looks ridiculously good! I need to try that!!!! This sounds so simple and yet so incredibly delicious! 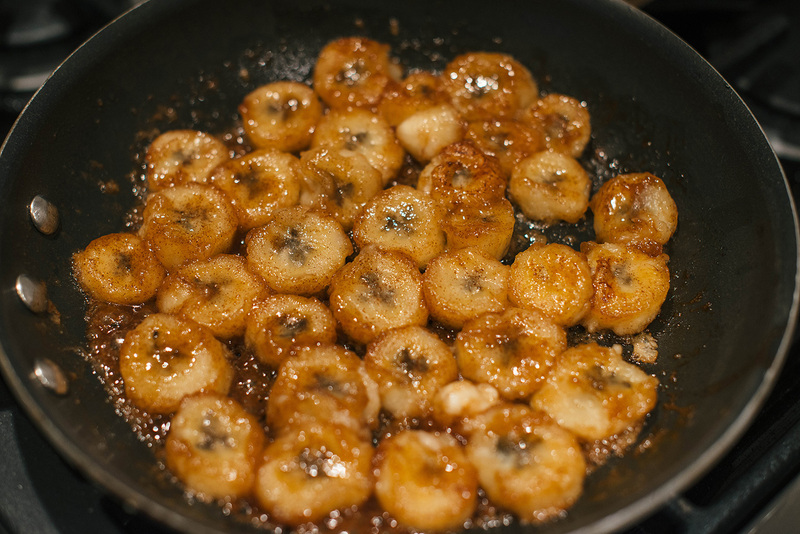 I might have to try it out this week, especially since I have ripe bananas that I need to use up! !